Norrbotten County (Norrbottens län; Finnish: Norrbottenin lääni) is the northernmost county or län of Sweden. It borders Västerbotten County to the southwest, the Gulf of Bothnia to the southeast. It also borders the counties of Nordland and Troms in Norway to the northwest, and Lapland Province in Finland to the northeast. The name "Norrbotten" is also used for a province of the same name. Norrbotten province covers only the eastern part of Norrbotten County – the inland mostly belongs to the Swedish Lapland province (Lappland). The northern part of Norrbotten lies within the Arctic Circle. Norrbotten County consists of the entire province of Norrbotten and about two thirds of Swedish Lapland. Norrbotten County covers almost one quarter of Sweden's surface, but is sparsely inhabited. This is especially true for inland parts of Lapland. 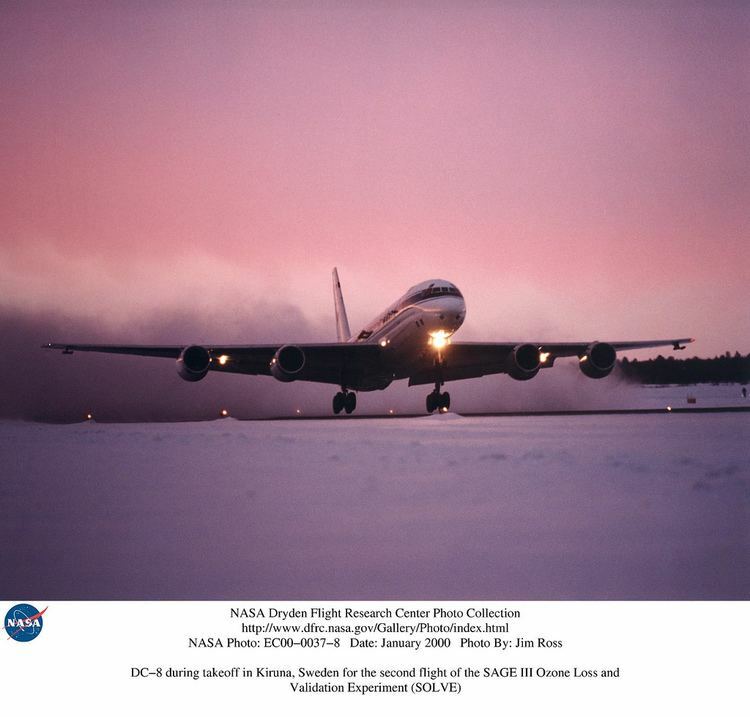 The climate is generally harsh, which is not surprising considering its northern location. However, the long summer days allow crops to ripen within two to three months, and agriculture is traditionally important, particularly near the coast and along the lower reaches of the Torne River. Grains, particularly barley, potatoes and turnips are grown to some extent, but the most important crop is hay for the livestock. Major rivers in Norrbotten County (north–south) include the Torne River, Lule River, Kalix River, and Pite River. Rivers shared with Västerbotten County include Skellefte River and Ume River. Other rivers that flow directly to the sea and that are at least 100 km long are the Sangis River, Råne River, Åby River, and Byske River. The county includes many islands in the Bay of Bothnia, which make up the Norrbotten archipelago. It is divided into the archipelagos of Piteå (550 islands), Luleå (1,312 islands), Kalix (792 islands) and Haparanda (652 islands). The largest island is Rånön in the Kalix archipelago. The population has increased during the last hundred years. The estimated 2002 population was 250,000. In the 1912 census, the population was 166,641, (4,000 more males than females), and of this, around 120,000 belonged to the Norrbotten province part. Twenty years earlier, in 1892, the population was only 110,000. Since the 1960s, however, most municipalities of the county have experienced a decrease in population figures, particularly in the inland. During the Middle Ages, Norrbotten was considered to be terra nullius ("no man's land"). 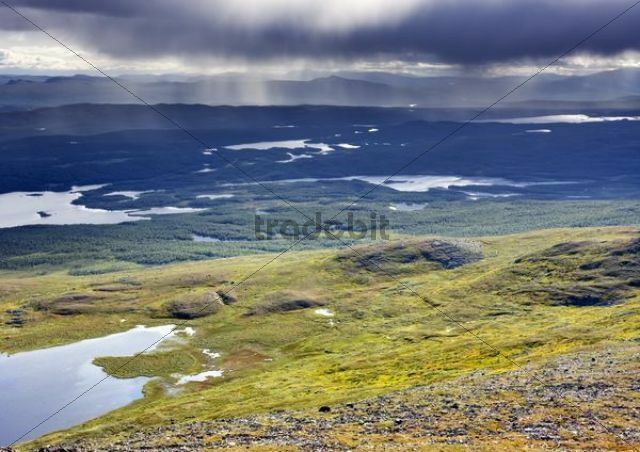 The area was sparsely populated by Sami, Kvens and different tribes/people related to the Finns. From the Middle Ages on, the Swedish kings tried hard to colonise and Christianise the area. This took time, however; even today, there are Finnish and Sami minorities living in the area, who have maintained their own culture and customs. Following the Finnish War in 1809, Västerbotten County was split between Sweden and Finland, with the larger part remaining within the Swedish borders. In 1810, the county was divided again when Norrbotten County was created out of the northern part, on the Swedish side. Most people in Norrbotten County still refer to the entire county, including the areas in Swedish Lapland, when they say 'Norrbotten', which is also the name of a smaller province for practical and historical reasons, which do not imply that they would not prefer to use the name Lapland. The natural resources (hydroelectricity, timber, and minerals, especially iron) of Norrbotten have played a key role in the industrialization of Sweden, all through the 20th century the region saw strong mobility in and out of the county, many young people moving south and people from other parts of the country moving in. In the 1970s and 1980s the drainage of (mostly young) workers was very powerful, due to high unemployment, and people in the area began to occasionally voice feelings of being misunderstood or economically abused by the south and especially the capital Stockholm. The coat of arms of Norrbotten County combines the arms of the provinces Västerbotten and Lappland and was granted in 1949. Since 1995 the province Norrbotten has a coat of arms of its own, but the county arms have not been changed accordingly. When it is shown with a royal crown, it represents the County Administrative Board. Blazon: "Quartered, the arms of Västerbotten and the arms of Lappland." The culture of Norrbotten County is in many ways different from the rest of Sweden, since so many different cultures can be found there; the Sami culture, the Finnish culture (Tornedalians) and the Swedish settler-culture (combined with the climate, midnight sun, and mid winter darkness). Many of the old local Swedish and Finnish dialects have survived in the area, and are spoken by a great number of people. The people of Norrbotten County have a saying: "I am not a Swede; I am a Norrbothnian". A laconic and, at first glance, uncommunicative way of speaking, coupled with understated irony, is also sometimes used as a means to hold off the southerners, who are seen as more slick and deceptive in their ways with words and eager to twist things their way. These contrasts are well known throughout Sweden and often appear in TV, films, literature and folklore connected to Norrbotten, for characterizing, satiric or dramatic purposes (e.g. some characters in the books of Eyvind Johnson or the police detective Einar Rönn in the crime novels of Maj Sjöwall and Per Wahlöö). 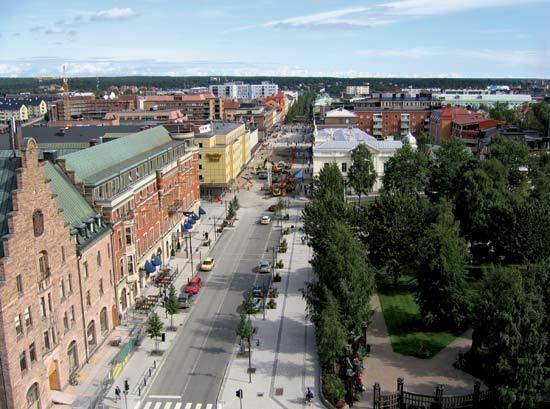 The coast has the historical cities of Luleå and Piteå. Luleå's Gammelstad ("Old town"), which is 10 km north of the present downtown, has been declared a UNESCO World Heritage Site. Languages: Apart from Swedish Sami, Meänkieli, and Finnish may be used in dealing with government agencies, courts, municipalities, preschools and nursing homes in parts of Norrbotten County. 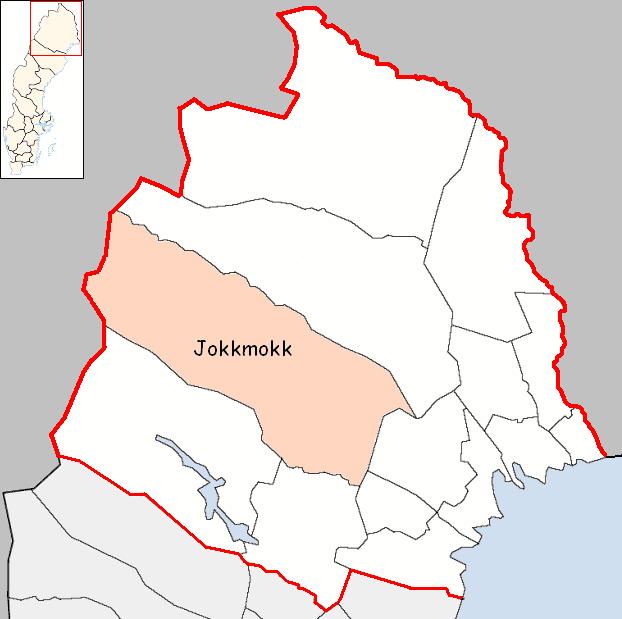 Sami language has an official minority language status in Arjeplog, Gällivare, Jokkmokk, and Kiruna municipalities. Finnish has the same status in Gällivare, Haparanda, Kiruna, Pajala, and Övertorneå municipalities. The main aim of the County Administrative Board is to fulfil the goals set in national politics by the Riksdag and the Government, to coordinate the interests of the county, to promote the development of the county, to establish regional goals and safeguard the due process of law in the handling of each case. The County Administrative Board is a Government Agency headed by a Governor. See List of Norrbotten Governors. The County Council of Norrbotten or Norrbottens Läns Landsting. From north to south with approximate population figures as of 2002. The Sami language can be used in contacts with local authorities in Arjeplog, Gällivare, Jokkmokk, and Kiruna. Similarly, Finnish and Meänkieli can be used in Gällivare, Haparanda, Kiruna, Pajala, and Övertorneå. The main mode of person travel inside Norrbotten is by car. The roads usually have sparse traffic, except the coastal road E4, which has more dense traffic. The distances are long, e.g. 345 km between Luleå and Kiruna, needing at least 3½ hours by car. The roads have been given relatively high speed limits compared to southern Sweden, usually 100-110 km/h, reducing travel times in this largest Swedish county. Norrbotten has a railway network with sparse passenger traffic but dense and heavy freight traffic. There are two main railways. 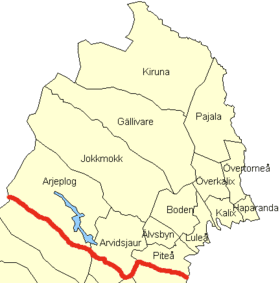 Stambanan genom övre Norrland connects Norrbotten with central and southern Sweden. Malmbanan connects Luleå with the iron mines in Gällivare and Kiruna and the ice-free port of Narvik. Malmbanan has highest amount of freight traffic in Scandinavia, especially the part between Kiruna and Narvik. Air travel is the main mode of travel between Norrbotten and southern Sweden. The main airport is Luleå Airport, 6th largest in Sweden. Other airports are Arvidsjaur Airport, Gällivare Airport, Kiruna Airport and Pajala Airport.